Graeme Wood’s article, “What ISIS Really Wants”, published in the March edition of The Atlantic is an immensely helpful article, taking us into the world and mindset of the Islamic State. Graeme’s basic thesis states that Westerners have consistently misunderstood the true basis and aims of the Islamic State of Iraq and al-Sham (ISIS), and as a result have consistently made bad decisions about how to act. Whether or not Graeme is correct—and I am not the one to say, for I have little understanding of the immensely rich and varied history of Islam and the role of ISIS therein—I consistently resonated with the article, for as he described the Islamic State, I clearly recognized a religion—one profoundly similar to and equally different from the Christian faith. One gets the impression when listening to American media that being a Christian, Jew, Muslim or member of some other religion (I am using the term loosely, and not particularly fondly) is a relatively straight-forward matter of private choice and worship: as the bumper sticker suggests, these could and should all “coexist.” But I don’t recognize myself in that watered-down and flaccid depiction of religion. And even though I grieve and disagree with the aims and foundation of ISIS as Graeme describes it, I at least recognize it to be a religion. Religion is a totalizing prioritization of commitments, bound up with land, government, education, law, family relations and above all, its claims about the creator God. This I recognize. I recognize and disagree with ISIS in a way that I could never recognize what the American media portrays as religion. As N.T. Wright tells us of the religious world of Paul’s day, “what Cicero and others referred to loosely with the word religio penetrated more or less every area of life. From the home, with its hearth and household gods, right up to great affairs of state, noble works of art and culture, and the most important public buildings and civic ceremonies, ‘religion’ was everywhere, because the gods were everywhere” (Paul and the Faithfulness of God, 274). And that understanding of religion persists to this day, not only in my own church and the broader Christian faith, but also in a host of other religions and religious groups, including ISIS. 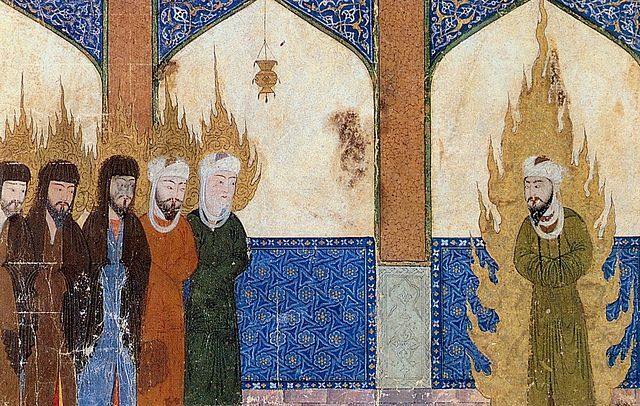 Graeme may or may not be right in the rich and varied picture he paints of Islam, and the interpretation he offers of ISIS, but I recommend his article if for no other reason than the fact that it gives us a potential insight into ISIS, while simultaneously reminding us that there are many understandings of the word “religion”. Among these understandings we can recognize some as Christian, but others we should have no part of for they are far too small, far too weak, and far too un-worthy of the claims made upon us by the living God, Maker of heaven and earth.